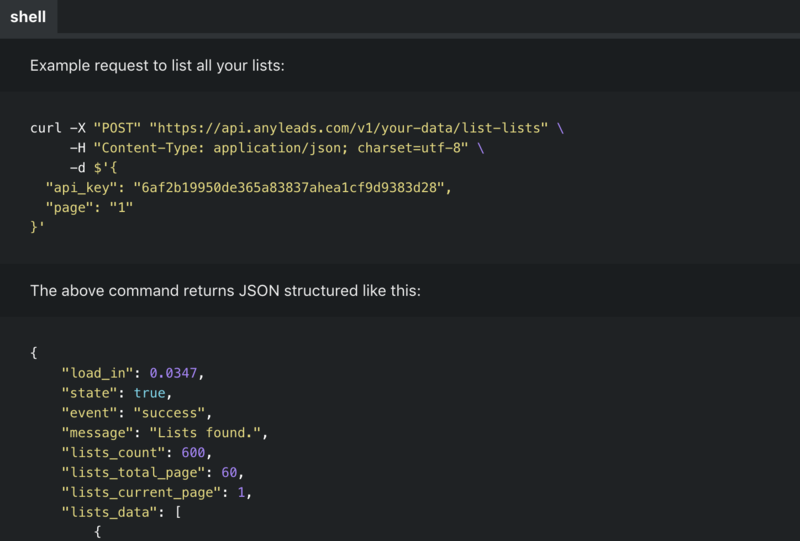 Import, create and update all your Anyleads dashboard with the Anyleads REST API. We provide all methods to create and update your contacts and lists. 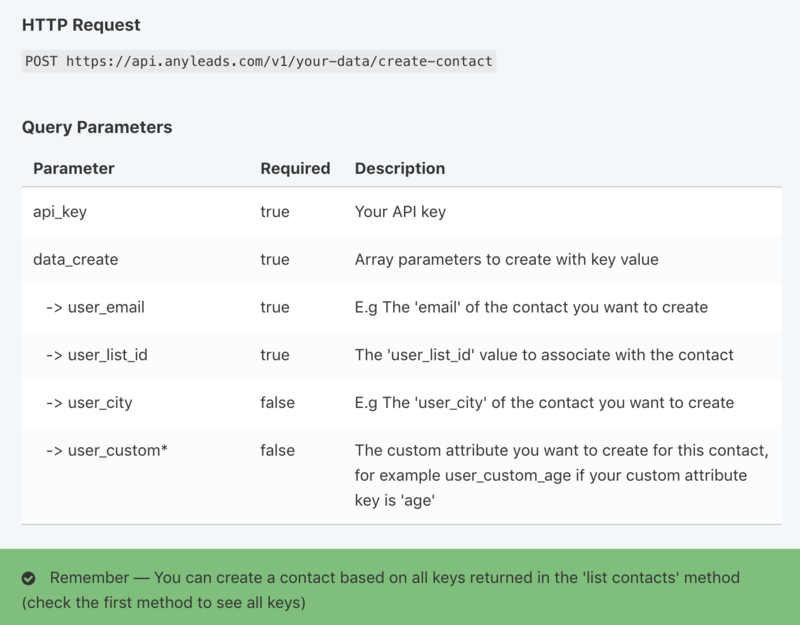 With the Anyleads API you can import, create, and delete any contact or list inside your account. Feel free to push contact based on your marketing campaigns. Thanks to the Anyleads API you can push and create contacts associated to a campaign. In this case you will be able to send emails based on the behavior of your future customers.